"Location quality of the accommodation friendly staff cleanli..."
Have a question for Glen Hotel and Suites? "Friendly staff, nice clean modern facilities." "The hotel is clean, new and in good location." "Providing free and secured parking lot for hotel guests." "Really impressed with our stay"
Offering luxurious guestrooms and suites in a strategic location, Glen Hotel and Suites is an ideal accommodation for your holiday. Not only perfect for leisure, the hotel is also suitable for the corporate travelers as it features conference and banquet facilities for up to 400 people. 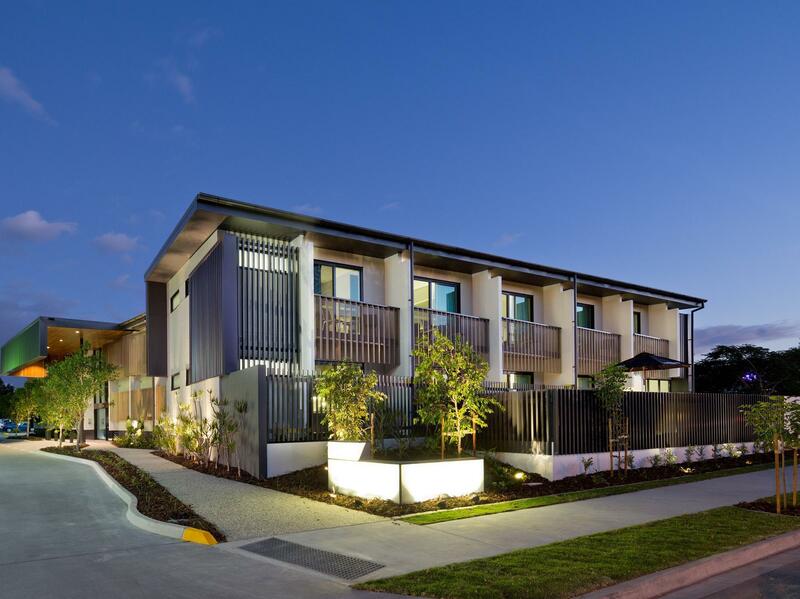 With its convenient location, guests can easily access Brisbane’s famous places including Brisbane Technology Park, Brisbane's central business district, Gold Coast, and Brisbane Airport. Tastefully designed by the award winning Blue Prints Architects, all guestrooms are well-furnished with all the quality amenities one needs. In addition, Glen Hotel and Suites provides recreational facilities to fulfill your stay such as a solar-heated outdoor swimming pool and gymnasium. Also, the property offers a wide range of food options such as The Garden Grille Restaurant & Bar and The Deck. "The room is of a good size, clean and modern with access to..."
Please note that there is secure on site parking provided to all hotel guests. Please check in with Reception to obtain a key to access the Car Park. Please note that full secretarial services available upon request. The property’s door is locked at 10:00 PM. A surcharge of 1% to 1.75% applies when using a credit card. Please contact the property for further details. Lovely hotel ! Free wifi , next to restaurant and pup. Really glad I stayed at the Glen. The room is of a good size, clean and modern with access to a fitness centre and pool. The breakfast from the Hotel was also a gem. Staff at the breakfast area were great and its nice to sit and eat in a leafy-setting. 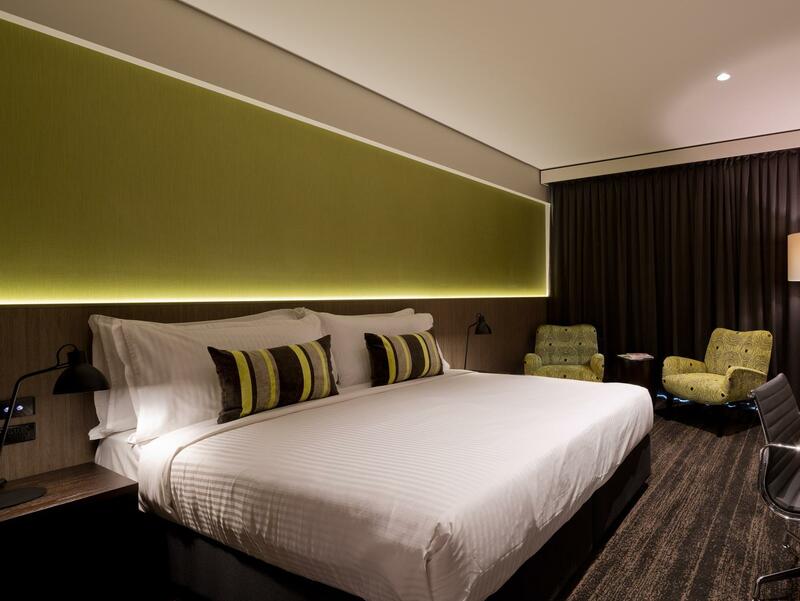 If you need to stay on the southside of Brisbane, its the best option by a mile. I loved my stay at the glen hotel but sadly one staff member that checked me in was a little rude. Spacious and clean. A comfortable stay. Good food of the restaurant. Hotel appears quite new and very clean. The size of the rooms is great. Very comfortable and good value for money. Location is good if you are doing most activities on the south side of Brisbane. Some issues with wifi and 4G (Both Telstra and Optus) reception in the rooms on the ground floor. This was our first stay in this hotel. We stayed in a Superior King suite and found it very comfortable. Quite large compared to other hotels and especially great value for money. Staff provided great service - in particular assisting with an extra late checkout due to falling ill on checkout day. Location is good if you need to visit the Sunnybank area. Room comfort, location, value for money. This was our second stay in this hotel, though this time we upgraded to a King Suite. Very impressed with the King Suite and feel that it is worth the extra cost. Very spacious room and the bathroom was great - especially the water pressure and the rainfall shower. Location is good if you need to visit the Sunnybank area. According to the Agoda website, there should be a tub in our room, but we didnt have it. Could you check for us please. Nice modern rooms, comfortable beds, however towels had stains & shower had a soap scum build up. Our room rate included breakfast, but we were required on several occasions to prove it. We were made to feel unwelcome and an inconvenience whilst they confirmed our breakfast inclusion at the restaurant. Friendly staff, nice clean modern facilities. The restaurant has nice meals & an amazing Sunday buffet breakfast. Would definitely stay here again. This was my first time here attending a function with my wife. The hotel was beyond my expectations with friendly staff and great facilities. The restaurant was excellent and the rooms were spot on. Will definitely be staying there again! I wanted to spend time in the new years in Gold Coast but hotel prices were off the charts at the time. 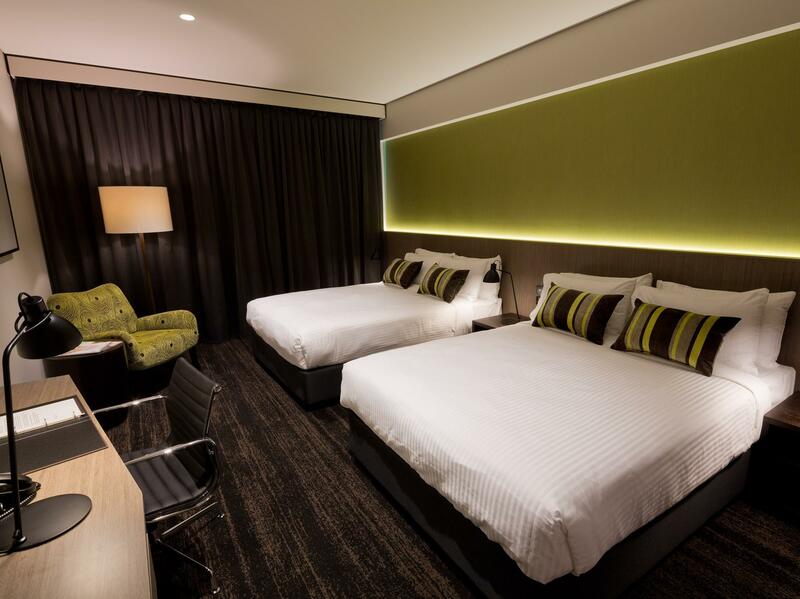 The hotel location was just off the motorway making it a convenient commute to Gold Coast and theme parks. There were ants in the first room provided but a new room was given almost immediately which was very clean and comfortable. Hotel was beautiful. Staff was lovely and helpful. Easy access to everything. Garden City Westfield just about a 5min drive away. Would most Definitly recommend this hotel to everyone I know. And would definitly book here again and again. The only main problem with my stay, was when the power went out at 7pm the hotel stopped all cooking and with hungry children, could not get my car out of the secure compound. As no one could manually open the gate so i had to pay $40.00 on taxi fares to go down the road to get my children dinner. Went there with my boyfriend, sister, and brother-in-law. We booked a quad room with 2 double beds. Room was pretty spacious and clean. The tea was good too. Only complaint probably is that Wi-Fi is quite weak in the room.